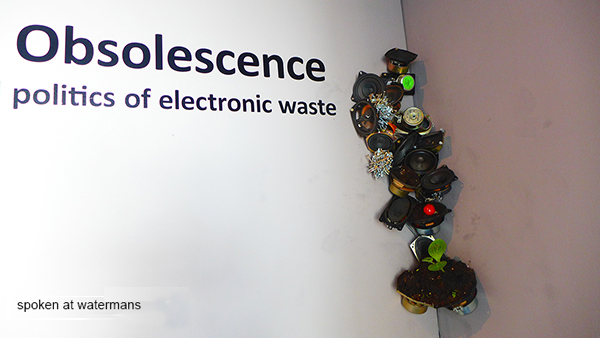 old speakers, screws, worms, compost, sprouts, sound. 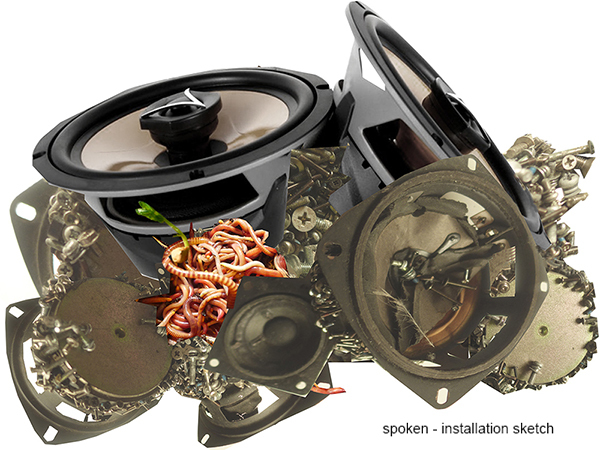 Dumped speakers gather used screws, the magnetic fatal attraction of by-gone technology. Stripped naked the speakers echo deep regret, droning and drowning. Metals composted give way to the worm colony where sprouts awakened. Technologies dont die easy, strive for after life beyond use by day, claim its own salvation as ever expanding cellular organism. 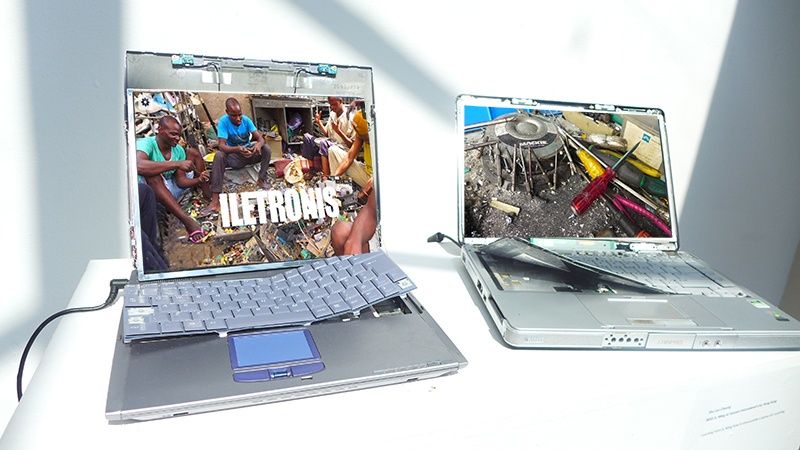 Two video from Nigeria and Hong Kong - shown in the striped down old laptops with screens somehow still functioing.